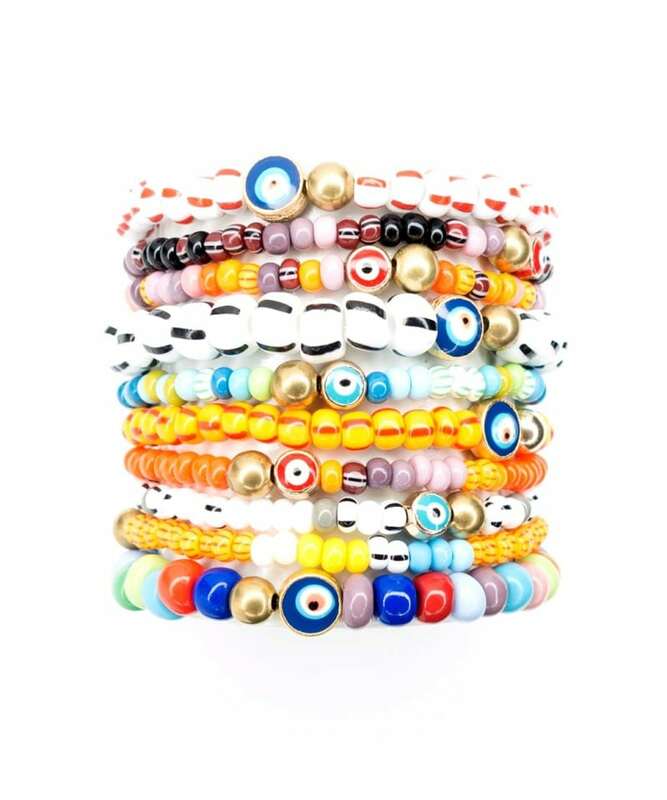 This is the perfect accent bracelet to give your arm party some extra flair. 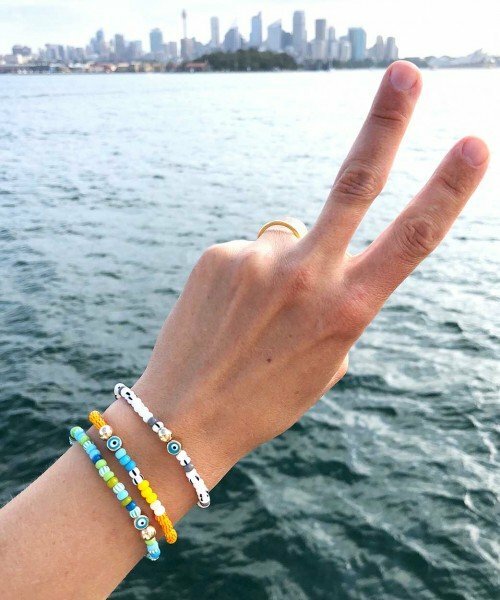 Stack it with your favorite gemstone bracelets or with a bright Color Crush Trio for a fun, eye-catching style. Using some of our newest 6mm glass seed beads and signature evil eye accents, the City Stripe styles are fast becoming one of our favs.